Good career prospects, a stable job market and an excellent salary are just a few of the reasons why many people choose a career in accounting. The perception of accountants as drab number crunchers has long since disappeared, and for financially minded people a career in accounting can be very rewarding. 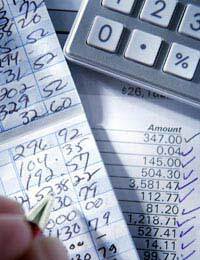 Accounting careers have got a lot to offer in terms of career prospects. There are many different accounting jobs and many different industries in which accounting services are vital. Entry level accounting positions can be a lot of hard work and long hours but career progression can be fast. Many talented and hard working accountants can progress to the role of Finance Directors before they actually reach the age of 30. Almost every type of industry or job sector will need some form of accounting services, whether as part of the actual company or on “for hire” basis. Graduate accountancy vacancies have risen by 20% meaning that the outlook is good for anyone who has just finished some form of accounting course. Job seekers who are looking for a career in accountancy will have a wide range of options available to them. Job sectors can include the media, government, medical, banking and investing, retail, commerce, private accountancy firms and self employed chartered accountants. The good news is that you do not actually need a degree to actually become an accountant, although it will be helpful. Many companies will take on employees and if talent and ability is shown they can be trained in-house or by outside agencies. There are of course accountancy qualifications including the Chartered Institute of Management Accounts (CIMA), The Institute of Charted Accountants in England and Wales (ICAEW) and Associated Chartered Accountants (ACA). Which type of qualification you go for will usually be dependant on which type of accountancy career you wish pursue. The sky is the limit with regards to salaries in an accountancy career if you have the aptitude and talent. Financial analysts can command large salaries but the starting salary for a trainee charted accountant will usually be between £16,000 and £25,000. This will usually rise to between £30,000 and £40,000 once qualified. Senior accounting staff with around 10 to 15 years of experience can earn a salary anywhere between £40,000 and £100,000. These are average salaries and accountants who work for large corporate firms or in the city can receive higher salaries. Depending on which job sector you work in there can be many benefits to be gained from a career in accountancy. Careers in the personal finance sector such as banking can bring large bonuses and profit related pay schemes. Many companies will have branches all over the world and it is not unusual for travel to be part of an accountancy career. There are many firms in the UK that send trainee accountants to branches abroad to train until they are qualified. Investing in a career in accountancy will be safe bet if you are looking for a job with good career prospects and a steady, secure income. Accounting careers are not for everyone but those with a financial mindset, good analytical skills and an eye for detail should enjoy this type of career. The salary, benefits and bonuses are some of the reasons why a high number of graduates think that an accounting career is the route to take when searching for jobs.